Leftists and pacifists who oppose America’s efforts to stop terrorism endlessly proclaim, “Stop the cycle of violence.” They say the same thing when police arrest known gang members. And they say the same thing when a kid confronts a bully in the schoolyard. This is a control fantasy: We are in control, so if we do nothing, the violence will end. There is no evidence for this illogical notion, which implies that violence is caused equally by both sides. If we are as guilty as terrorists and criminals, we have no reason to be angry, and no justification to react. In other words, blame the victims. ● Our embassy in Iran was seized in 1979, legally an act of war. Our diplomats were imprisoned and mistreated for 444 days. Our response was a pitifully inadequate rescue attempt. ● The USS Stark was hit by two missiles fired by an Iraqi plane in 1987, killing 37 crew members and wounding 21 others. Saddam’s response was to promote the pilot and reward him with a Mercedes. Our response was to launch an inquiry. ● Our Marine barracks in Beirut was bombed in 1983, killing 241 Americans. Our response was to lob a few shells into the hills and withdraw. The lesson was clear – kill some Americans and the rest will run away. ● The first World Trade Center attack occurred in 1993, when six died and over 1000 were injured, but the buildings did not collapse as planned. Those directly responsible were arrested, but the attack was treated as a domestic crime. ● Terrorists bombed the Khobar Towers barracks in 1996, killing 19 Americans and injuring many more. Our response was to indict low-level suspects. This attack on our military was treated as a crime, not an act of war. ● Our embassies in Kenya and Tanzania were bombed in 1998 – again acts of war – causing hundreds of deaths. Our response was launch cruise missiles at a pharmaceutical plant in Sudan. We bounced some rocks in the desert. ● Suicide bombers attacked the USS Cole in October 2000 as it docked in Yemen. The ship almost sank, 17 sailors were killed, and many more wounded. FBI bomb experts were called and a reward was offered. An attack on a U.S. warship in foreign waters was treated as if it were a bank robbery in Fargo, not an act of war. ● A suicide bomber destroyed New York-based Sbarro’s pizzeria in Jerusalem in August 2001, killing 16 and injuring over 90. Among the dead was a visiting American. She was pregnant, so two Americans were killed. Terrorists attacked an American business known to be frequented by Americans, and Americans were killed. Our government did nothing to show that it takes a dim view of the murder of its citizens. We didn’t even pretend to do anything. Then came 9/11 – a coincidence? Our feeble response to the prior attacks succeeded only in making us look weak to our enemies. Hatred plus contempt is an explosive mixture. But we went out of our way to produce it. It is best to be loved. Next best is to be feared. But to be neither is dangerous, especially for a rich and powerful nation. With some reason, the terrorists may have been surprised and angry at our reaction to 9/11. Why should we have reacted now, when we did little or nothing all the times before? There was no “cycle of violence.” There was a cycle of violence answered by nonviolence. There was violence by one side, and ineffective reactions – or no reaction – by the other side. There were mass murderers on one side, and well-meaning but naïve pacifists on the other. There were fanatics convinced of their rightness on one side, and people who could “see both sides” on the other. It takes two to be friends, but only one to start a fight. Leftists seem unable to grasp this fact. ● They let muggers go free but arrest 80-year-olds who defend themselves. ● They jail fathers who protect their children from burglars with 14-page rap sheets. Leftists feel no guilt for letting career criminals roam free to beat the elderly bloody for their Social Security checks, or break into children’s bedrooms to do who-knows-what. They feel no anger at criminals, whom they justify and excuse. They feel anger only at those who defend themselves and their families. They are no more successful against domestic criminals than they are against foreign terrorists, but their failures don’t deter them. They believe, “Violence never settles anything.” Oh no? 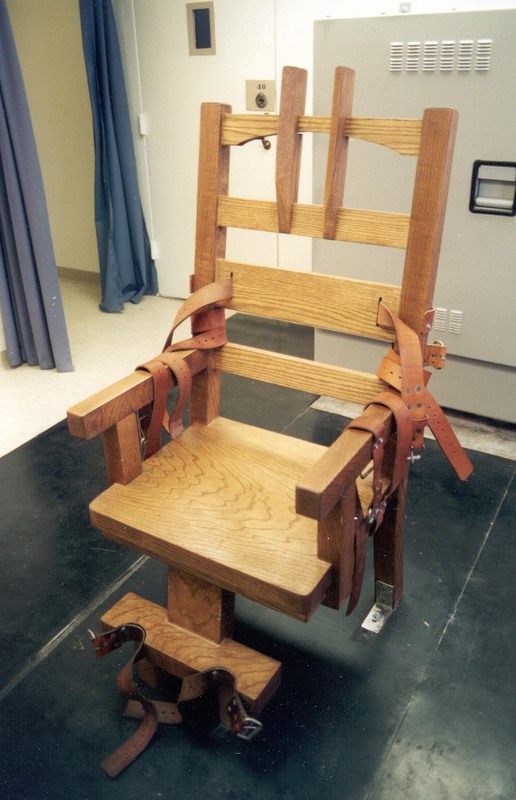 ● Who stopped Ted Bundy from killing women – radical feminists, or Old Sparky (the Florida electric chair)? ● Who liberated Nazi death camps – Gandhi leading a flock of pacifists, or the Allied armies? ● Who destroyed Iraqi torture chambers and children’s prisons – a herd of European intellectuals, or the U.S. and British military? ● Who prevented new terrorist attacks on America since 9/11 – the Green Party, or constant vigilance? ● Who stopped two drug-seeking criminals from killing Sarah McKinley and her baby son – gun control advocates, or Sarah’s Remington shotgun? Those who believe “violence never settles anything” know little about violence. Those who claim “war isn’t the answer” know little about history. If two groups disagree, mediation may help. But if one group believes it has the right to brutalize and kill the other group, what is there to discuss? We couldn’t explain to the Nazis that it really isn’t nice to slaughter millions. We had to kill as many of the Nazis as we could and destroy their power. Only then did the slaughter stop. What is our real goal? Is it to make the world safe for ordinary people to go to their offices or eat pizza? Then we must stop terrorism by eliminating terrorists insofar as possible. Or is our goal merely to feel self-righteous? Then we can babble endlessly about how we should “give peace a chance.” We can repeat ad nauseam that we should “see their point of view.” We can blabber about the terrorists’ “legitimate grievances.” Who doesn’t have legitimate grievances? I do. But somehow I refrain from mass murder. We can mouth high-sounding phrases. We can pretend that doing nothing to stop evil is the moral position. We can forget that the Bible tells us not to stand by idly while our neighbor’s life is at risk. We can jabber about the “cycle of violence.” But if we want to stop terrorists and criminals from harming innocent people, we have to do a lot more. And if we want to see a real cycle of violence, we can visit a Harley-Davidson dealer.